Based on GSM/GPRS and GPS network, you can locate and monitor any remote targets by SMS or GPRS. Vehicle for rental or manage of outside equipment, etc. Protect the elder, kids, employees and pets, etc. 1)The minimum interval for data sending of TK102 is 30 seconds, but with the new ARM7 solution, TK106 can reach as 5 seconds. 2)Data adds direction, altitude, battery voltage, charging status, number of satellites, the length of the GPRS string, GSM ID (includes MCC, MNC, cell ID) . 3)The commands can be sent to the tracker by GPRS tracking server directly but not only by telephone SMS . 4)There is shock sensor built in TK106, the unit will send an alert to the user at once when it been shook or hit heavily . 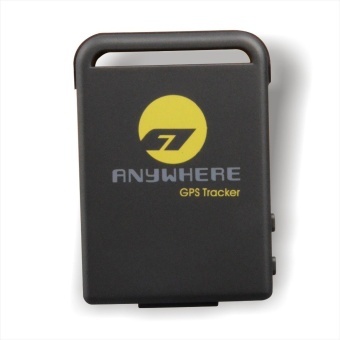 5)TK106 can store GPS data without extra memory card if GPRS is disconnection, and will send the data to platform when the GPRS reconnected. 6)For auto tracking,you don't need to send the coordinates if the moving distance is less than 50 meters . 7)Longer standby time. TK102 can work lasting for about 48 hours, but TK106 can be work more than 150 hours . 9)It is much easier to modify the software. 10)TK106 has a traffic mode and sleep function. When there is no command to execute, TK106 will sleep to save power.
. Time to First Fix: Cold status 45s, Warm status 35s,Hot status 1s.
. Car Charge: 12-24V input, 5V output.
. Wall Charger: 110-220V input, 5V output.
. Battery: Chargeable Changeable 3.7V, 800mAh Li-ion battery.